Though the lyrics earned Howe national fame and enduring success, penning Battle Hymn of the Republic might be one the least interesting things about her. 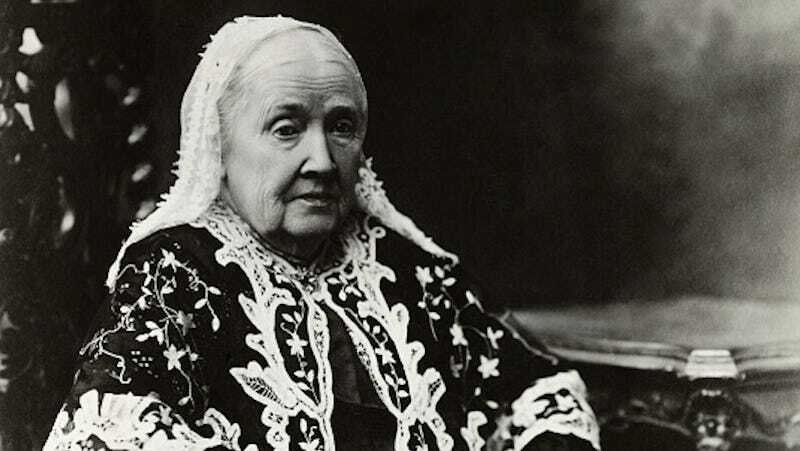 In her new biography, The Civil Wars of Julia Ward Howe, the highly regarded feminist critic Elaine Showalter traces Howe’s life, from unhappy wife to poet, abolitionist, and suffragette. Born to a wealthy New York banker in 1819, Howe, Showalter argues, had “the subversive intellect of an Emily Dickinson, the political and philosophical interests of an Elizabeth Barrett Browning, and the passionate emotions of a Sylvia Plath.” Howe, however, was foiled and frustrated by both a culture that devalued women’s creative output and by marriage. Showalter has produced here a surprisingly timely and particularly relevant biography, one which slyly addresses the often intertwining contemporary debates on marriage, motherhood, and creativity. Laura Bridgman, 1855. Image via Getty. Unfortunately for Howe, she had a far more progressive view of marriage. She sought companionship, both mental and physical, from the union, an expectation that would prove continually disappointing. Howe, who had begun writing criticism and poetry at an early age, continued to pursue creative endeavors, much to the chagrin of her demanding husband. Chev, above all, valued the ideal of Victorian marriage—he wanted an angel in the home, a woman committed to the charms of domesticity. For all outside appearances, the Howes were a “power couple”— educated, wealthy, attractive—but at home, their marriage was contentious and unhappy. “How beautiful, how wonderful is nature,” Chev wrote to his unusually close friend, later the famous abolitionist senator, Charles Sumner. “Only a year ago, Julia was a New York belle—apparently an artificial, possibly by some thought a beautiful one. Now she is wife who lives only for her husband and a mother who would melt her very beauty, were it needed, to give a drop of nourishment to her child.” Meanwhile, in private letters to her sister, Howe wondered whether or not marriage was an emotional trap. Julia Ward Howe, c. 1900. Image via Getty. Stuck at home with numerous young children, with a husband who had little interest in her work and actively discouraged her intellectual pursuits, Howe rebelled in small ways. In the late 1840s, Howe secretly began to write a novel. She described the book as a “history of a strange creature,” and it tells the story of a Laurence, a scholar who lived as both man and woman. The book, which was published posthumously as The Hermaphrodite in 2004, is strikingly modern and daring. But Howe never published the novel (it was found in 1977 by a graduate student), likely understanding that the subject would shock society and permanently rupture what remained of her marriage. By 1853, however, Howe was clearly tired of these small acts of rebellion and, without her husband’s knowledge, published Passion-Flowers, a rather scandalous book of confessional poetry. Many of the poems are about her terrible marriage, her struggles with motherhood, and a rumored affair she had during a long trip to Rome. Fate wings for wilder flights! And ah! Their peace is lost! The answer, in short, was that Chev was furious. The publication of Passion-Flowers had surprised her husband who didn’t even know that Howe was working on the project. He threatened to divorce her and keep the children. Plus, Chev was in charge of the rather sizable fortune Howe had inherited from her father, and he had wasted much of it on bad real estate investments. In order to keep both peace and children, Howe edited later versions, removing poems and taming others, accepting an ugly bargain. Cover for sheet music of Battle Hymn of the Republic, circa 1898. Image via Getty. It was shortly after this that both Howe and her husband turned their attention to abolitionism. They had both met John Brown, and Sumner, Chev’s lifelong friend, brought them into the cause. Howe was impressed by Brown’s commitment and admired his zeal, but maintained that she was surprised by his actions at Harper’s Ferry. In 1861, Howe wrote Battle Hymn of the Republic; adapted to the tune of John Brown’s Body, it quickly became synonymous with the Civil War. Showalter argues that Battle Hymn was the turning point in Howe’s life. Its mainstream popularity, “gave [Howe] the power and the incentive to emancipate herself.” It helped that Howe was also in her forties by the time she wrote Battle Hymn, well past her child-bearing years, and she was no longer beholden to the care of an infant or her husband’s interests. After the war, Howe became dedicated to the passage of the 14th and 15th Amendments. Later, she joined the “militant” Susan B. Anthony and Elizabeth Cady Stanton and was active in the National Woman’s Suffrage Association. Tellingly, the day after her husband’s funeral in 1876, Howe wrote, “Began my new life today.” She would spend her remaining 34 years campaigning for women’s suffrage. Howe died in 1910, ten years before the 19th Amendment was passed. The Civil Wars of Julia Ward Howe trails off at the end. Showalter seems less interested in the familiar history of Howe (the abolitionist, the suffragette) and more committed to a nuanced portrayal of her emotional endurance. In this respect, Showalter renders an impressionistic portrait of mid-century American women bound by forces—the expectations of marriage and motherhood—well outside of their control and, in particular, Howe’s determination to pursue art making in spite of them.